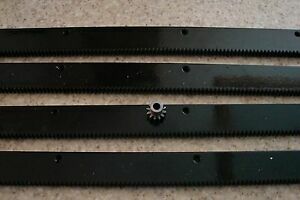 Flat Pinion Gear Rack 57T 0.151 MOD 1.5" Face 29.250" 1/2" Pitch Approx. carolbrent has no other items for sale. 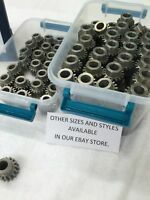 BOSTON GEAR STEEL ND-16B SPUR GEAR 12 PITCH 5/8" BORE FOR LATHE MACHINE ETC. 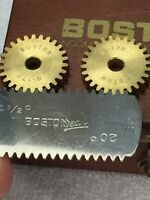 BOSTON GEAR BRASS G-172 SPUR GEAR FOR CLOCK TELESCOPE MODEL RAILROAD, LATHE ETC. There are 152 items available. Please enter a number less than or equal to 152.